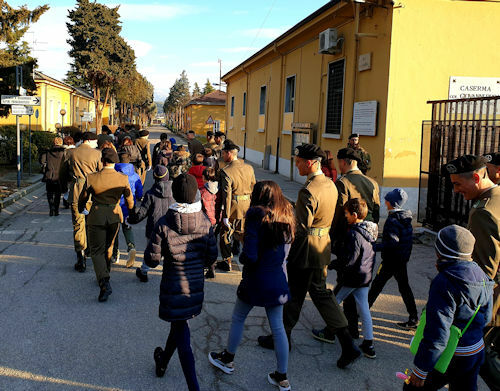 In the morning of today at the "Duca" barracks in Verona, 336 Volunteers in a One Year Prefixed Stop (VFP1) of the 85 ° Volunteer Training Regiment (RAV) "Verona" have sworn loyalty to the Republic. The ceremony took place in the presence of the War Flag of the Regiment, in the presence of the commander for Formation, Specialization and Army Doctrine, general of the army corps Giovanni Fungo, and of numerous political, civil and religious authorities of the Scaliger territory. .
At the orders of the commander of the 85 ° RAV, Colonel Gianluca Ficca, and in front of over 2000 people, between relatives and friends who came from all over Italy to be close to their loved ones, the men and women enrolled with the 3 ° Block 2018 shouted their "THE JURY!" "Be aware of the duties and responsibilities that this Oath involves, honest and loyal to your soul and always demand the maximum from your abilities, aware that the path you have taken is neither comfortable nor simple, but can give you human and professional satisfaction. beyond all expectations " so, in his speech, Colonel Ficca. "Until yesterday you could only say to DO the Soldier, but from today, with the Oury you have just given you can claim to BE Soldiers" he then underlined General Fungo, addressing the jurists. The ceremony, full of emotion and meaning, was seasoned by the now customary presence of some classes of primary schools of the Veronese. The children, received from the entrance by the young Soldiers, enthusiastically attended the ceremony. At the end of this, they wanted to meet the jurors to offer them designs designed in memory of this important moment of their lives. The training process of the VFP1 has the total duration of 11 weeks, after which the Military are assigned to the Operational Departments or to the training centers of specialties, located throughout the national territory. This course is organized in two modules, basic and advanced, and consists of three main areas of training, in which the Soldiers are severely evaluated: technical-professional, physical-sports and behavioral-motivational. With today's Oath ceremony, the Volunteers began the "advanced module", a phase mainly characterized by technical-professional activities, after which they will be able to operate in national operational contexts, among which the "Safe Roads" operation is well known. 'Italian Army for over 10 years throughout the country to support the police forces and further guarantee the security of citizens. 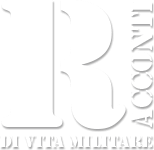 From 1997 the 85 ° RAV is one of the three regiments of the Army, the only one in the North of Italy, which has the task of training the young VFP1, women and men, who decide to embark on a military career by training more than 2.000 every year.